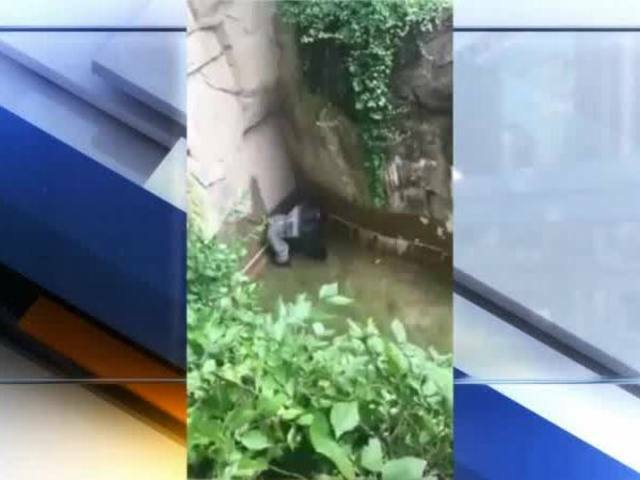 CINCINNATI -- A 17-year-old gorilla named Harambe was killed Saturday after it dragged a 3-year-old boy that fell into its enclosure at the Cincinnati Zoo & Botanical Garden Saturday, Zoo Director Thane Maynard said. The boy was hospitalized with injuries that were not life-threatening, police said, and he was released within a few hours. 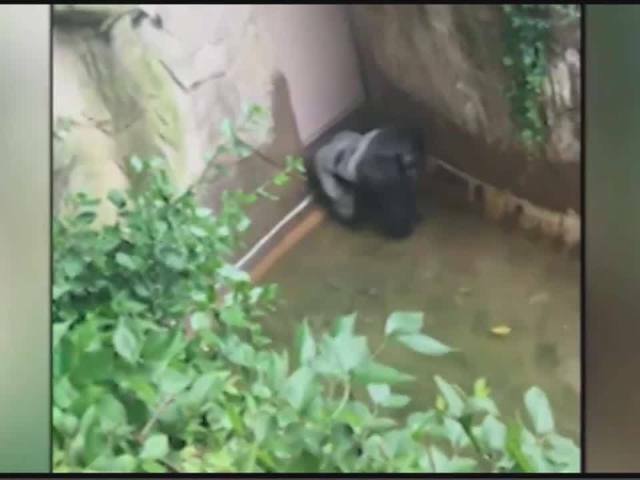 The decision to kill Harambe and the boy's ability to get past a barrier and fall into the enclosure drew criticism from many, including the group People for the Ethical Treatment of Animals. Witness Bruce Davis said "it was basically the child or the gorilla." "They chose – a lot of people say poorly, but they didn’t see it. I saw it," Davis said. Another witness, Tangie Hollifield, said it didn't seem like anybody would be able to get the boy back from the gorilla. She was standing next to the child's family. “I don’t even know where she was when it happened, but I saw here there after and she was just going, ‘That’s my baby,’” Hollifield said. It didn’t seem that Harambe was trying to hurt the boy, Hollifield said. But the 400-plus-pound gorilla was “extremely strong,” according to Maynard. WATCH video from a bystander in the player above. Read more about this story here .